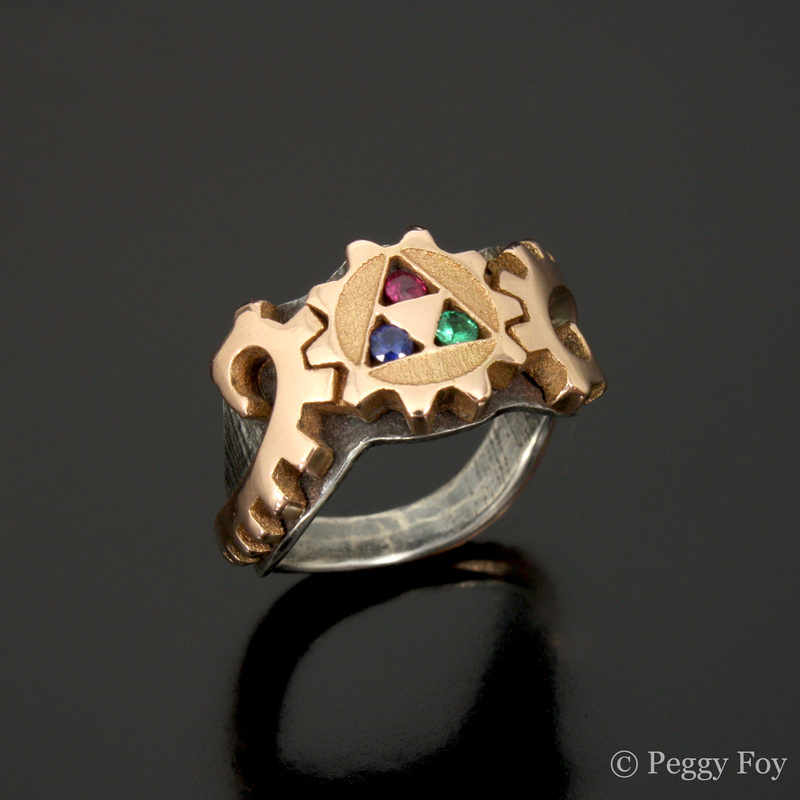 Materials: 14k Rose Gold, Sterling Silver, Ruby, Sapphire, Emerald. This beauty is a collaborative piece with my friend, Tim Russo. 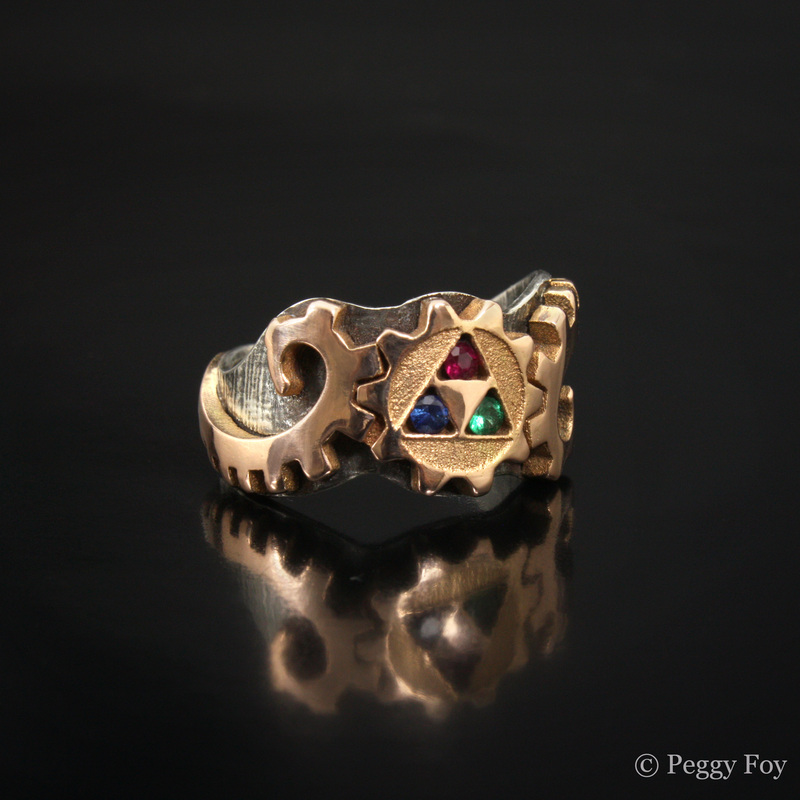 Tim approached me back in August to help make a ring for his sweetheart, Kate. But when we met to discuss the project at my studio, he brought more than just an idea: he showed up with a handful of 3D printed, white plastic prototypes. 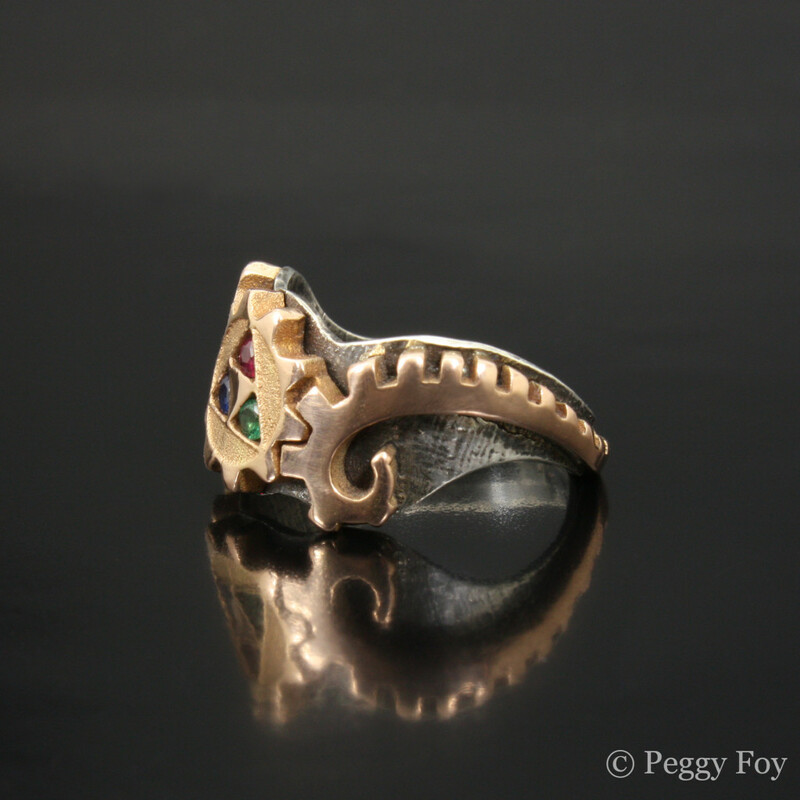 (It turned out that these, in turn, were based on some designs of mine that Kate had admired…) They were AMAZINGLY detailed, and I was instantly excited about the project. We kibitzed over possibilities and potential pitfalls, and Tim went back and refined the drawings, and made more prototypes. This went on for a little while; then one day Tim showed up with models made in cast-able jeweler’s wax. If I had been excited about this project before, at this point I was totally floored. They were beautiful. 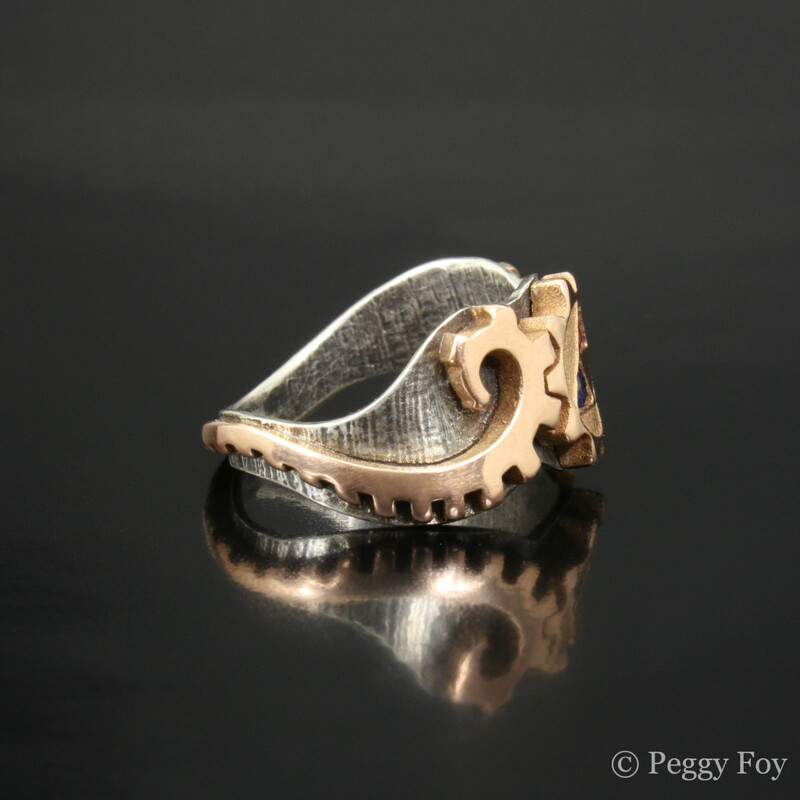 In the end, only the rose gold part was made from a 3D-printed model. I fabricated the sterling silver sleeve from sheet metal, which has my signature roller printed texture. 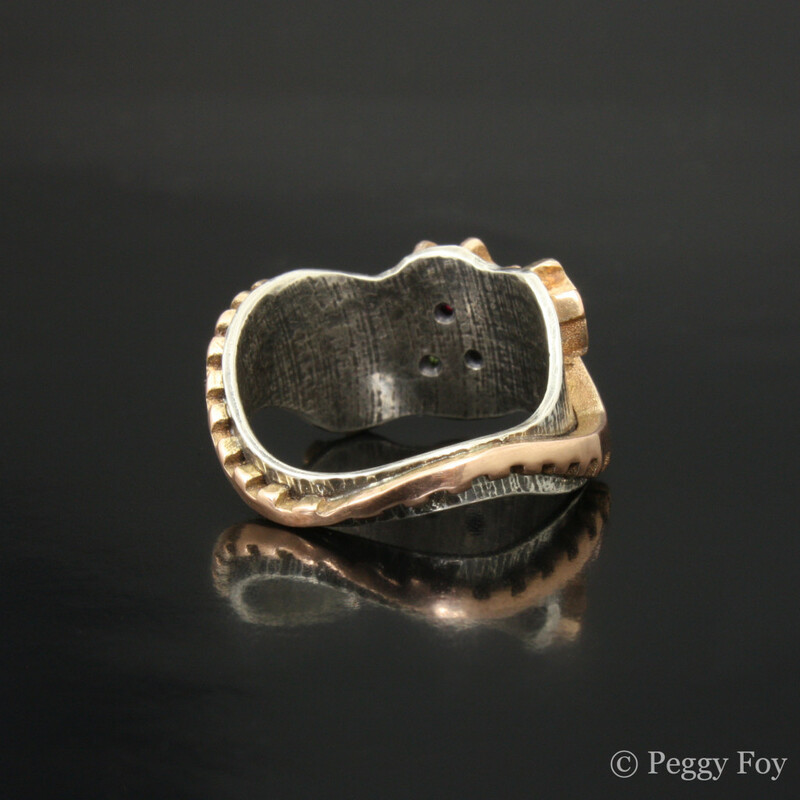 One of the best parts of being a jeweler is when I get to make a piece like this for a friend. This was such an amazing and fun project. It is also hands down the nerdiest thing I have ever made, and I absolutely love it. More importantly, Kate loves it too. (She said yes of course!) 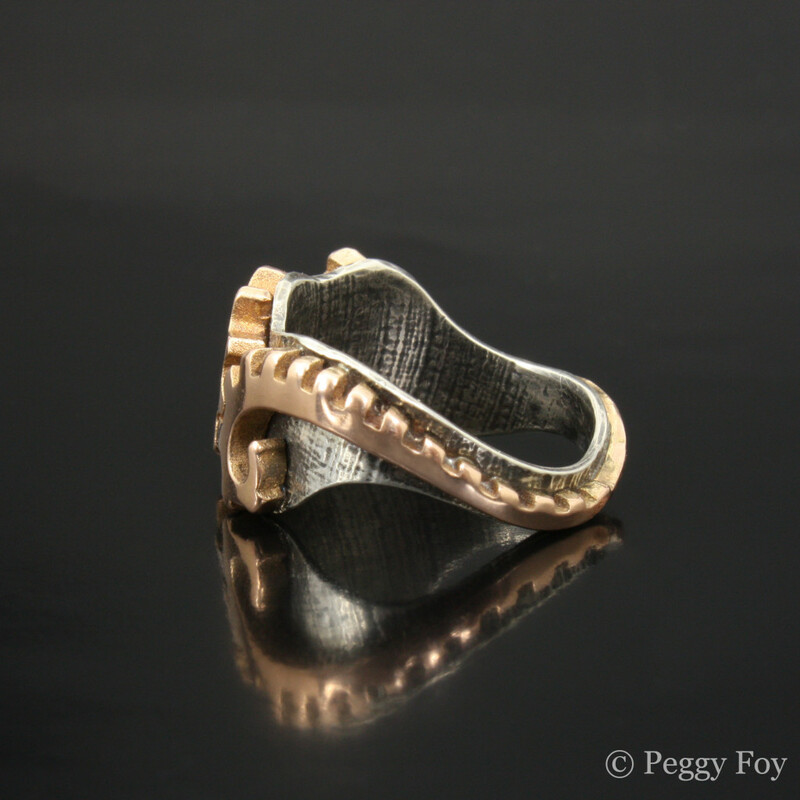 Needless to say I am very excited to explore more 3D-printing in 2015. Here are some more images; enjoy!